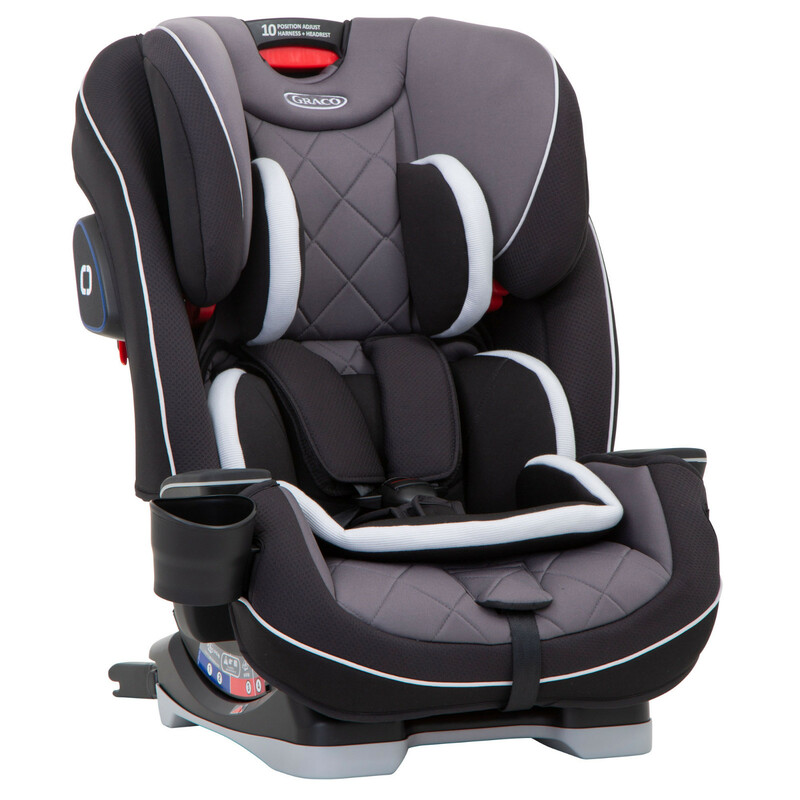 The Slimfit LX Group 0+/1/2/3 Car Seat from Graco will accommodate your little one from birth, right through to 12 years old (or 36kg), offering you long-lasting safety and exceptional value for money. 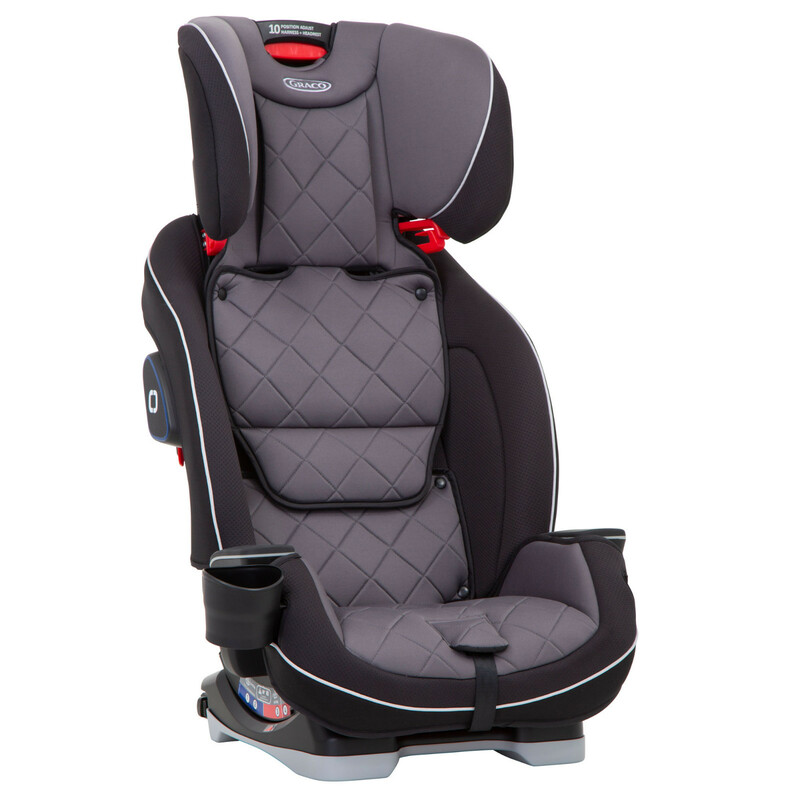 Featuring ISOCatch connectors to keep your seat secure in your vehicle, True Shield Safety Surround Side Impact Protection, a reinforced steel frame in addition to EPS energy absorbing foam, the Slimfit is designed to keep your child safe whatever stage they are at. 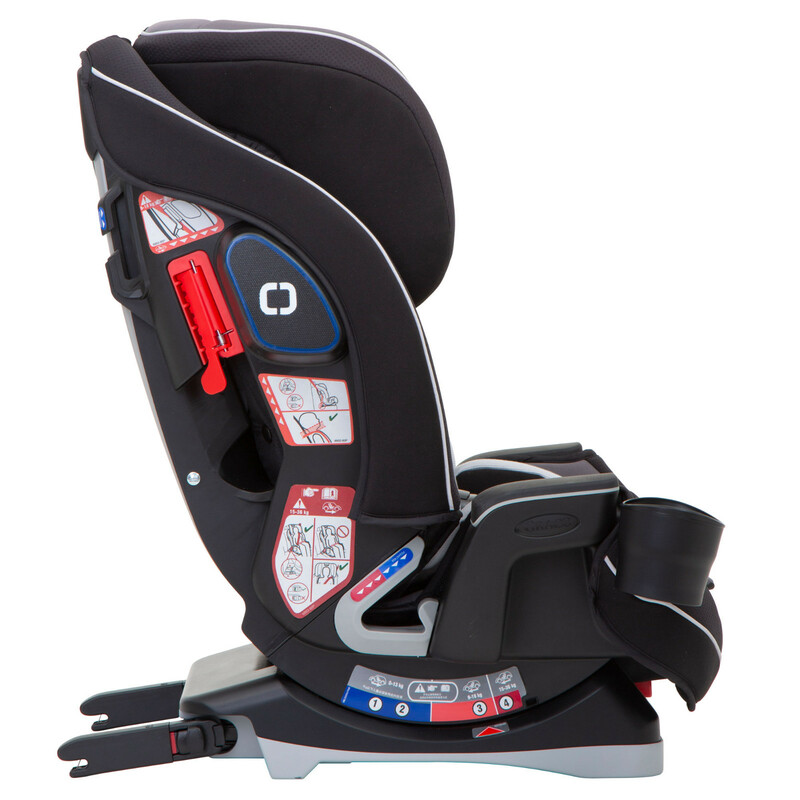 Starting off as a rear facing infant car seat (which is the safest way for your little one to travel when they are young) the Slimfit allows your child to ride in this position until they reach (an extended) 18kg or approx 4 years old. 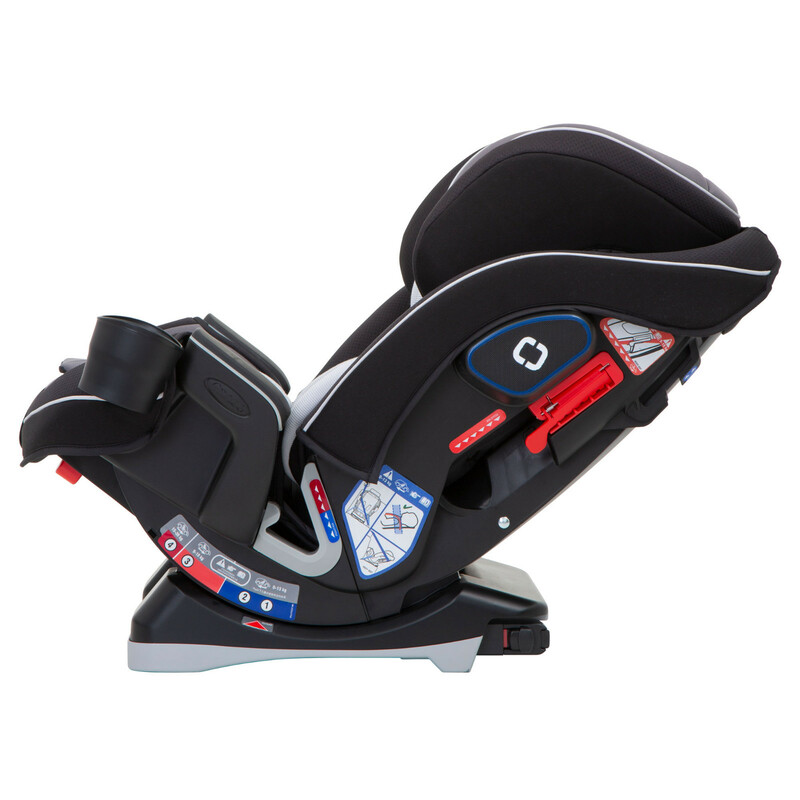 The car seat can be turned around to face forwards from 9kg onwards. 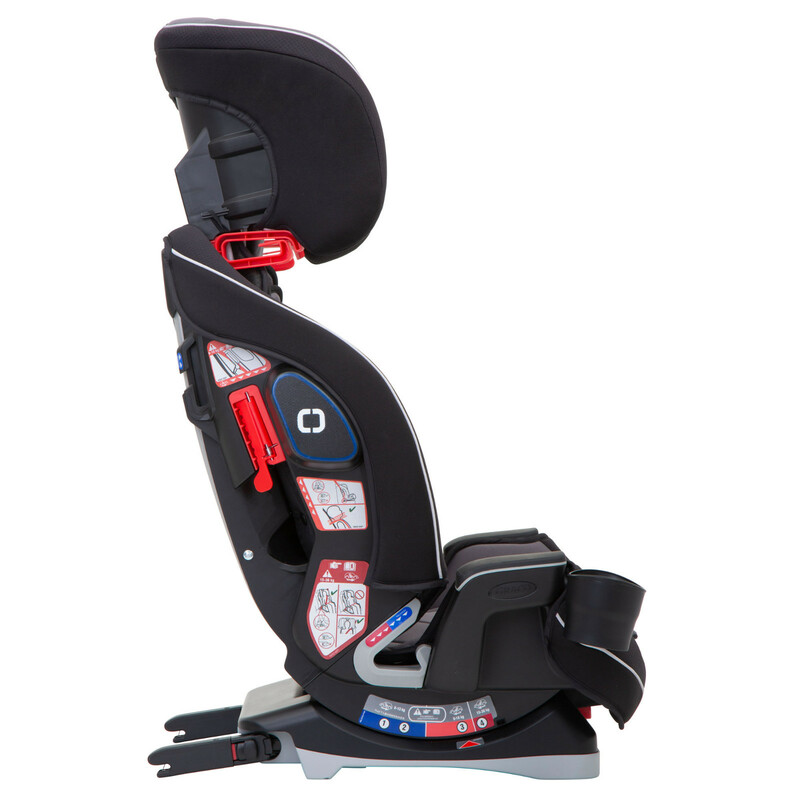 Offering a 10 position adjustable headrest, the Slimfit’s harness also adjusts automatically with the selection of headrest height (meaning no complicated rethreading). 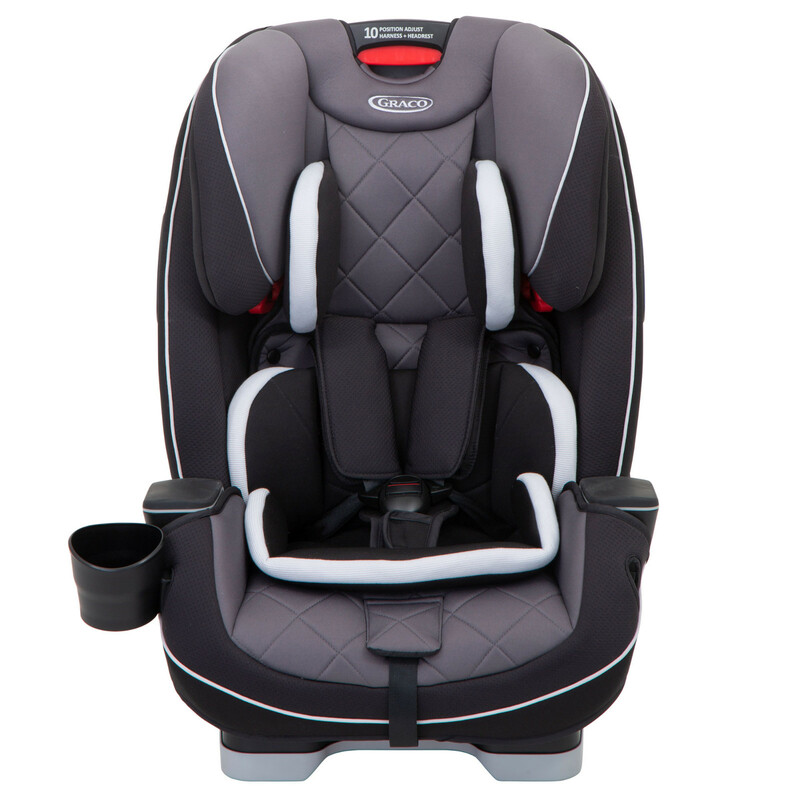 Once your child reaches 15kg, the high-backed booster can be used, with the harness being tucked away behind a panel in the back of the seat. 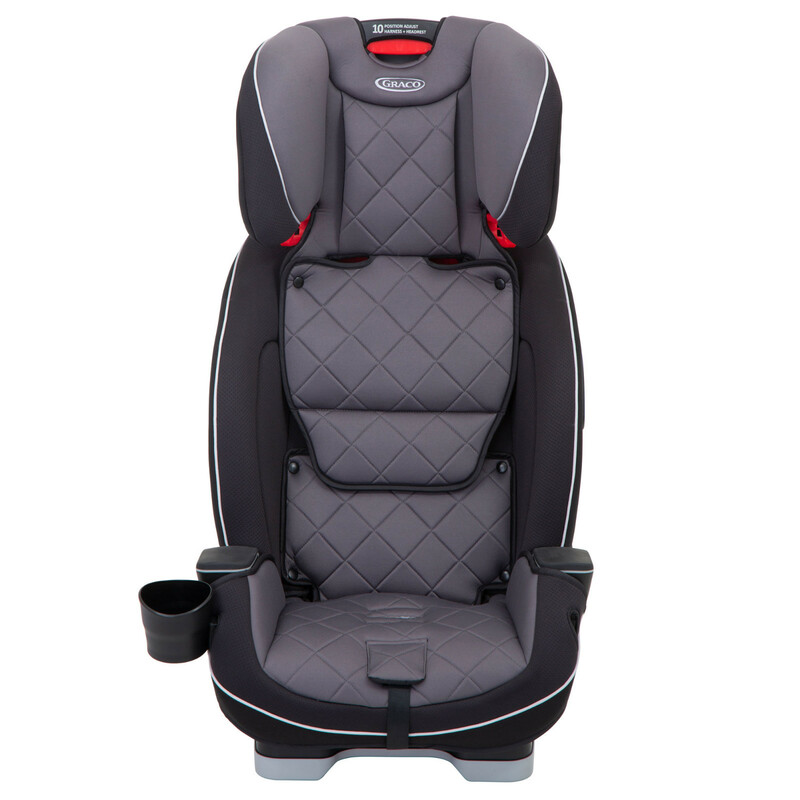 Other features include a removable cup holder, a padded body insert and harness pads for comfort.